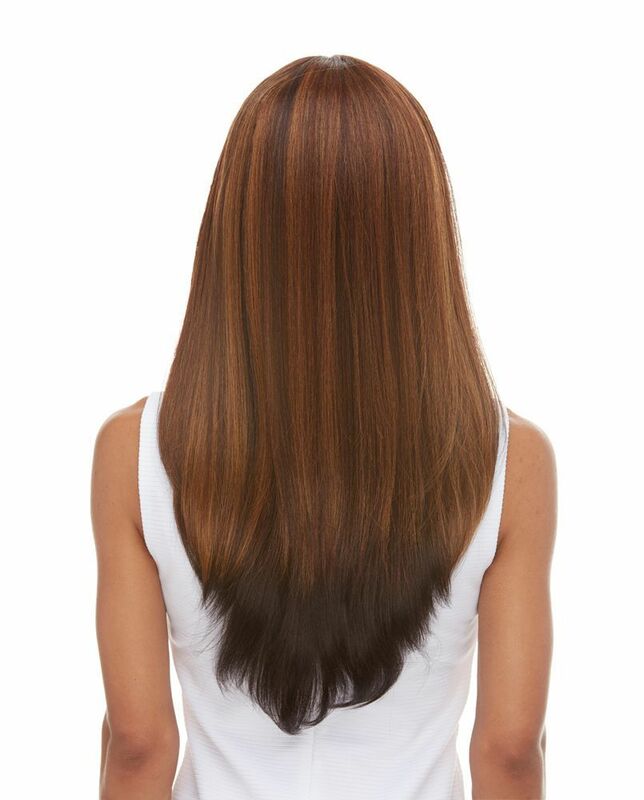 Past the shoulder length lace front with layered long hair and C-shaped part for natural appearance. Swiss lace front mesh is hand applied for most natural movement. 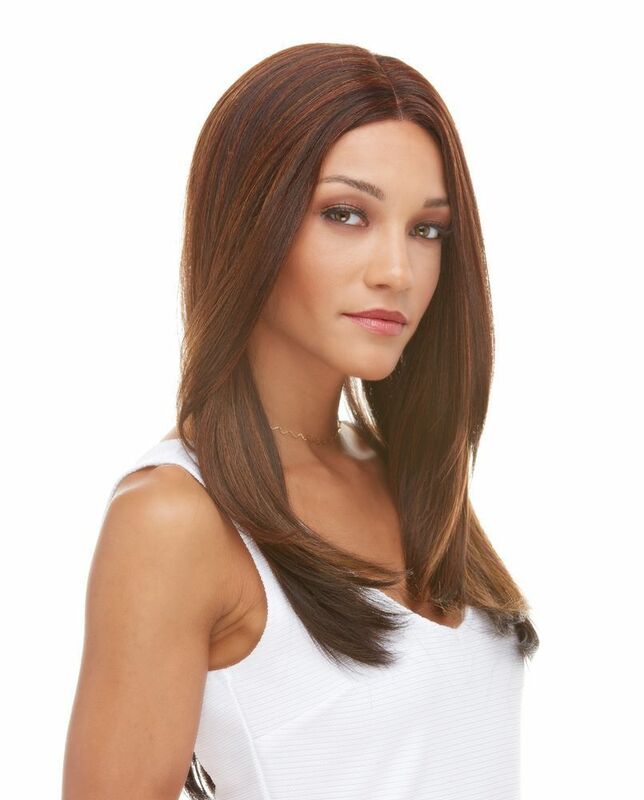 Model is wearing this wig in brown/auburn/strawberry blonde layers blended (DB4273).